Jay was born and raised in Wilkes County. After completing his education, he returned to Wilkes County to go into practice with his Dad and other partners. Throughout his years of practice he has been involved in many types of criminal and civil litigation. He enjoys being in the courtroom and trying cases. While he still enjoys litigating all types of cases, the primary focus of his practice is now criminal defense. He handles all criminal cases from serious felonies to traffic offenses and has tried to jury verdict more than 70 cases. 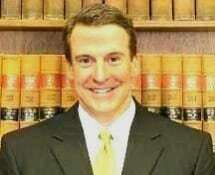 He is a Board Certified Specialist in State Criminal Law. He is a member of the National Association of Criminal Defense Lawyers and the North Carolina Advocates for Justice. Jay Vannoy has been selected to Super Lawyers for criminal defense in North Carolina for ten consecutive years from 2008 through 2017. He has also lectured on criminal defense topics and taught trial skills at Continuing Legal Education seminars sponsored by the UNC School of Government, NC Indigent Defense Services and the NC Bar Association. He has served on the Board of Directors of several local organizations. He was on the Board and served as counsel to Rainbow Center Children and Family Services for over 10 years. He served on the Board of Community Health Connection for four (4) years. He currently serves on the Board and is counsel to the Wilkes Community College Endowment Corporation. Jay is married to the former Beth Holland. They live in Wilkesboro and have two sons. Away from the office, Jay enjoys all kinds of sports and outdoor activities including golf, hunting and boating.